Morgan Mavis is a collector, curator and visual artist. Mavis is the Director of The Contemporary Zoological Conservatory (CZC), a private taxidermy collection, home museum and art installation. Mavis’ work explores the preservation of discarded memories (trophies) and the context of taxidermy as material culture. Mavis is currently a graduate student in the Museum Studies program at the University of Toronto. 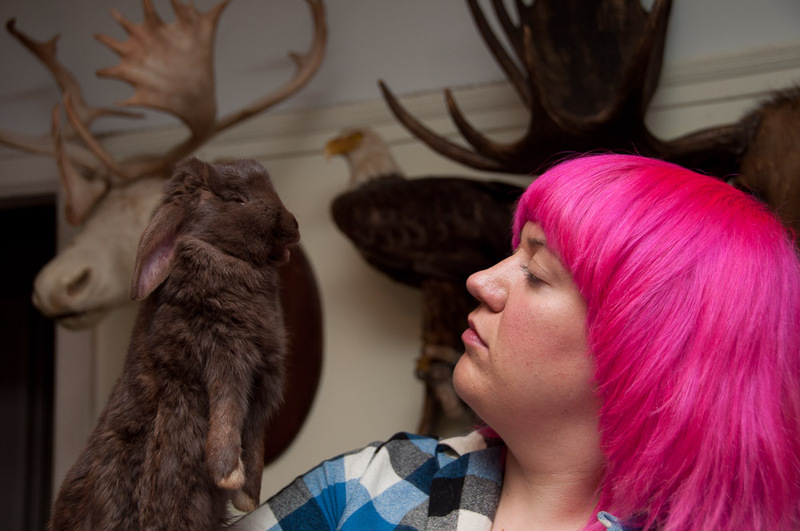 Her academic research explores taxidermy as artifact and society’s need to posses nature to gain knowledge from it. She holds a BFA with honours in Sculpture Installation from the Ontario College of Art and Design. Her thesis Can You Love Me? Explored the nuances of approval and notoriety. In 2006 Mavis and her partner Christopher Bennell set out on a hitchhiking installation, documenting stories and memories across Canada to the far North. Mavis’s Academic pursuits in taxidermy and artistic practice intersected in Field to Feast, an ongoing installation exploring hunting, taxidermy butchery and the celebration of the feast. Patti Robinson is a classically trained baker with artistic practices in the culinary arts. Robinson holds a BA in Anthropology from Dalhousie University in Nova Scotia. The concentration of her studies was examining the rituals of food and death leading her to explore the craft of butchery. Her artistic and culinary explorations have taken her from Alaska to Iceland; with works showcased in Halifax’s 2010 Nocturne: Art at night, and Vancouver, 2009 ‘I ‘m Fine, You’re Fine’ an artist response to climate change. Robinson’s current focus on unconventional food practices, using food as narrative, is exercised in Field to Feast by dissecting North American eating practices, rituals and customs.